If you don't know how to calculate how long you can stay in Schengen area, please follow this indications. Any tourist – irrespective of being visa required or exempt – who intend to travel to the Schengen area for a short stay must know that the maximum duration of authorized stay is defined as "90 days in any 180-day period". The date of entry shall be considered as the first day of stay on the territory of the Schengen States and the date of exit shall be considered as the last day of stay on the territory of the Schengen States. Note that periods of stay authorised under a residence permit or a long-stay visa shall not be taken into account in the calculation of the duration of stay on the territory of the Member States. The notion of "any", implies the application of a "moving" 180-day reference period, looking backwards at each day of the stay (be it at the entry or at the day of an actual check), into the last 180-day period, in order to verify if the 90 days / 180-day requirement continues to be fulfilled. Is like a dynamic, moving date in the present or in the future. How many days in the past 180 days (counting backwards starting today or tomorrow) I’ve spent in Schengen area? If the result is “x”, simply do a rest (90-x) to know how many days you may still remain in Schengen area. So, for example, if you go to UK (or maybe Bulgaria, Croatia, Ireland, Romania, Cyprus as they are not yet part of the Schengen area without internal borders) for 30 days, after those 30 days you may ask yourself that question. You arrive in Rome on 01.01.2015. On 31.03.2015 you ask yourself the question and the result is that you spent 90 days in the previous 180 (from October 2014 to march 2015). So, you’ve spent 90 of the 90 days allowed, and you must exit Schengen area immediately, if not you’ll become an over-stayer, which is not recommended at all. In this case when you may enter in Schengen area again? From 1.1 to 31.3 you was in the area. Let’s suppose you’re planning to enter Italy again on May 15. How many days in the past 180 (counting backwards from may 15) I’ve spent in the Schengen area? So, the 180 period that ends on May 15, 2015 starts on November 15, 2014 (6 months period = 180 days). In that period you stayed already 90 days (January - March), so, no way to enter Schengen area yet. How many days in the past 180 (counting backwards from july 15) I’ve spent in the Schengen area? So, the 180 period that ends on July 15, 2015 starts on January 15, 2014 (6 months period = 180 days). In that period you stayed only 75 days, so, you may enter Schengen area again, but maximum for 15 days (75+15 = 90). Complicated? A little, but once you understand the mechanism it become easy. 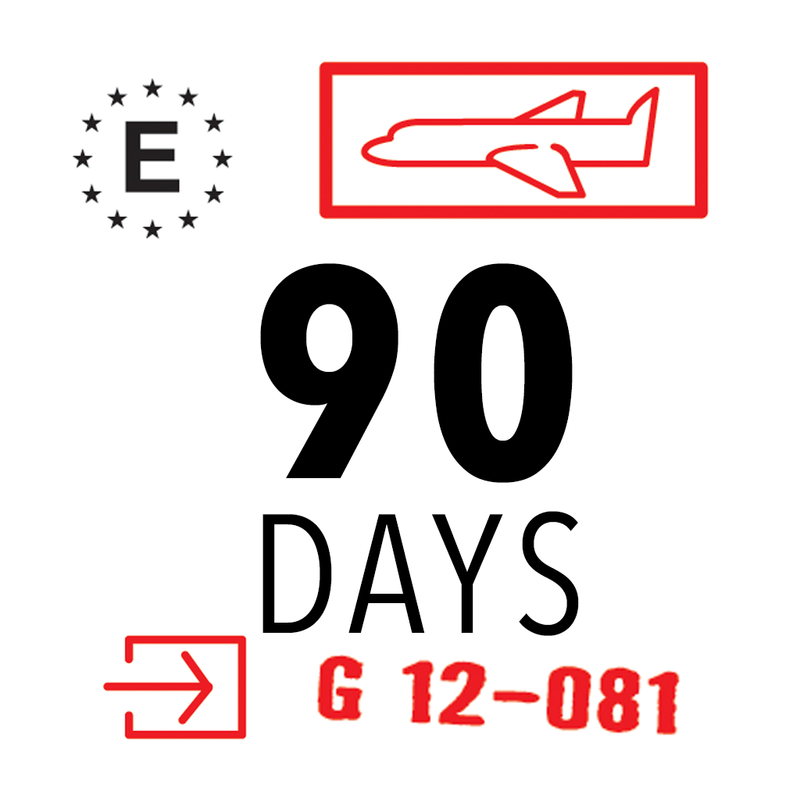 In order to apply the 90 days / 180-day rule, a calculator has been developed for the general public and for the Schengen authorities. The calculator is a helping tool only; it does not constitute a right to stay for a period resulting from its calculation. It is always for the Member States' competent authorities (in particular for the border guards) to implement the provisions and make a decision on the length of the authorized stay or on the overstay. Go to the official explanation about the rules to calculate the allowed stay.